So you’ve decided to take the plunge and delve into Linux, but you’re not quite ready to give up that Windows machine that you’re become so comfortable with (kind of like myself). Admittedly, Linux is not for everyone, and if you’re a n00bie to the scene a dual boot system is probably what you’re going to want to do. 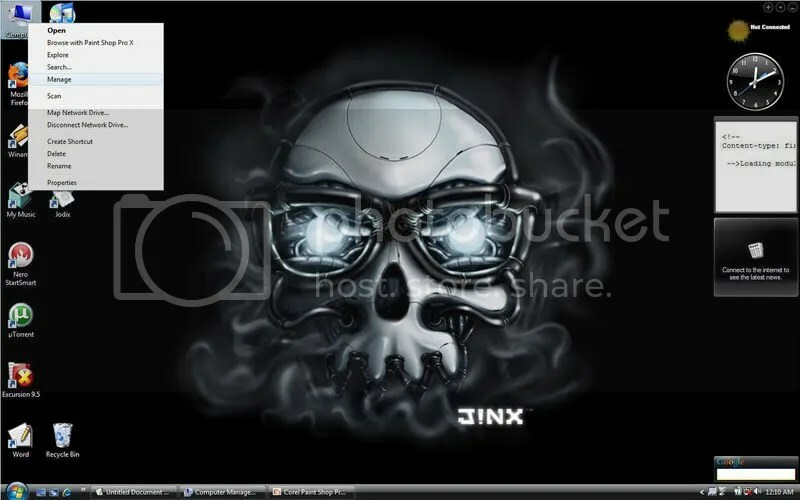 This will allow you to use Vista for you day to day activities, and still let you use and learn about Ubuntu at your leisure. 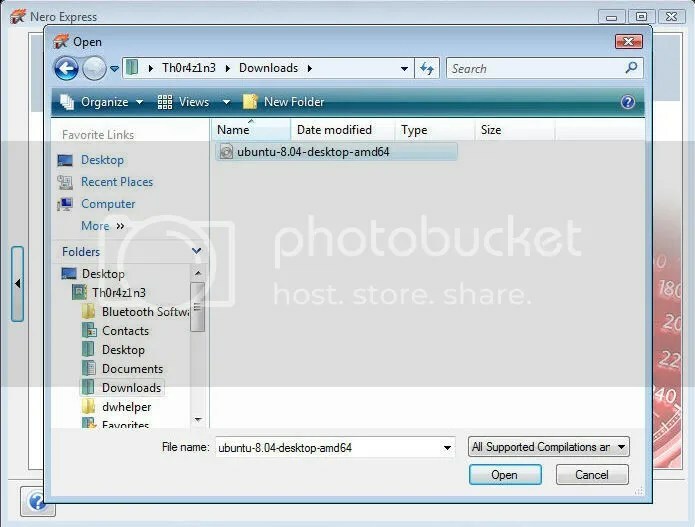 The first thing you’re going to need to do is download and burn a copy of Ubuntu, you can do this by following the link provided or Googling the term “Ubuntu” (this can take some time depending on you’re internet connection). Various torrent sites are also a good source to get Linux distros at a good speed because they allow you to download from multiple sources simultaneously. Once you’ve downloaded the Ubuntu ISO you’ll need to burn it as a bootable CD. You can do this by opening Nero, and from the “Back Up” sub-menu clicking “burn image to disk“, and selecting the Ubuntu ISO you just downloaded. Once the disk is finished burning you’ll need to do is create a partition to install Linux on. To do this you need to right click on the “Computer” or “My Computer” icon on your desktop. 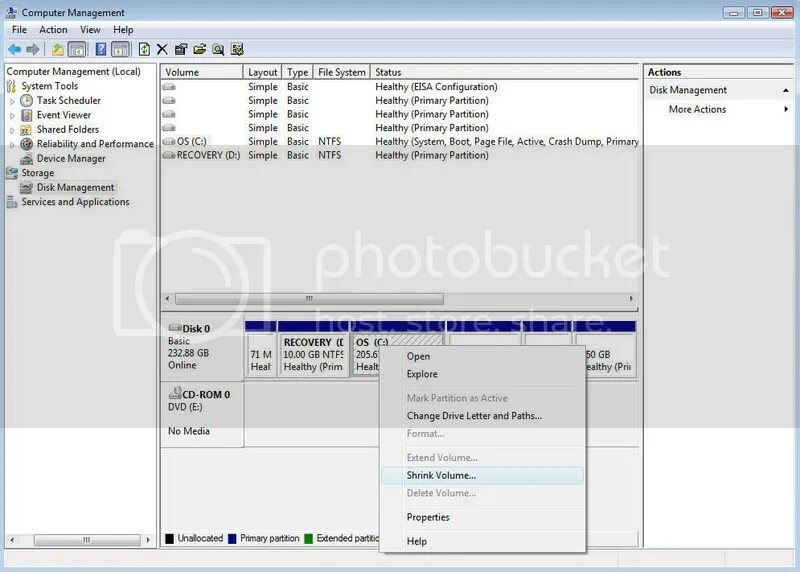 From there you’ll need to go into Manage/Storage/Disk Management and right click on the partition that you’ll want to take the storage space from (usually the C: drive) and click shrink volume. Where it says Enter the amount of space to shrink, enter the desired size of your new partition. 15000 would be 15 gigs. Simple enough right? From here you’ll need to restart your computer with the Ubuntu disk still in the drive. 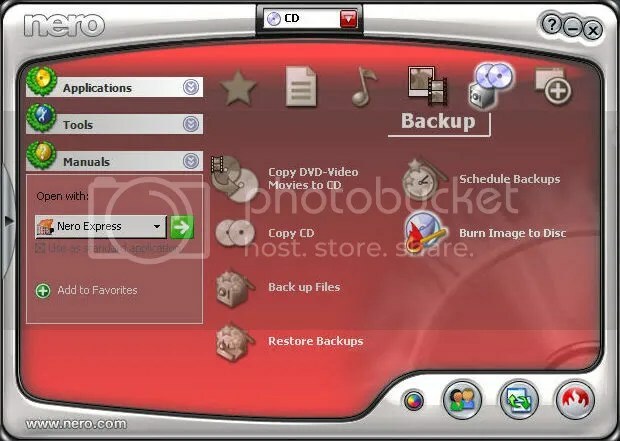 You’ll need to make sure that your computer is set to boot from the CD/DVD Drive first and not from the hard disk, if not you can change this by entering the BIOS Menu at the Splash Screen upon start up (usually by pressing F1, if not it should say something to the effect of press F1 to enter settings. This varies from machine to machine.). From there Ubuntu will proceed to load up from the disk, select install and simply fill in the prompts with the appropriate information until it asks you to select a partition to install Linux on. At the partition manager you’re going to want to select “largest free space”, that’s the partition that you just created before you restarted your computer. After that all that’s left is to follow the rest of the prompts and wait for Ubuntu to be installed on your computer. Welcome to the wonderful world of Linux!